Did A Dangerous Road Cause Your Car Accident? If someone has been hurt or a life has been lost in a car accident, Heintz & Becker will find a way to help. We will conduct a thorough investigation in order to find a source of compensation. If we determine that a car accident was caused or made worse by a problem with the road itself we may take action against the municipality in charge of the road, the construction company doing work on the road, or another party in order to get results. The experience possessed by our board-certified civil trial lawyers helps us investigate all possible options and opportunities that need to be considered in these complex cases. Rules and regulations exist regarding all aspects of road design, from the proper placement of centerlines to how far power line poles must be from the shoulder. Our lawyers have the knowledge to quickly determine if defective road design played a role in a motor vehicle accident. We know what action to take if a dangerous road condition caused or contributed to your injuries. 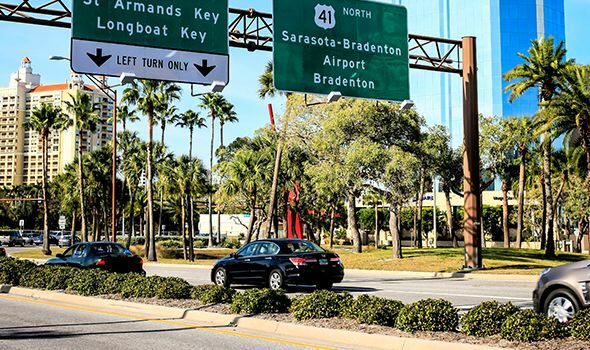 It seems like there is always construction going on somewhere in Bradenton or Sarasota. Unfortunately, that means that many of the dangerous road cases we handle involve construction zone injuries. Often, these accidents are the result of how the construction zone was set up. Before road construction can begin, a maintenance of traffic plan should be established in order to properly divert cars. A poor plan, or a plan that has been poorly executed with the haphazard placement of traffic cones and barricades, can lead to serious auto accidents. To discuss your injury or wrongful death case with an experienced car accident lawyer in the Sarasota or Bradenton area, contact us online or call us at 941-748-2916. If you are unable to come to us, we can come to you.